Mimaki reactive dye ink enables printing on cotton, hemp, silk, rayon, and some kinds of polyester. These dye inks produce vibrant colors, reproduce a wide gamut of colors, and have water resistance, light-fastness, and rub-fastness because of dyestuff molecule bonding with the fibers. Mimaki has attained the "ECO PASSPORT" certification from OEKO-TEX® international association headquartered in Switzerland, via Nissenken Quality Evaluation Center, for its "MLRc500", reactive dye ink. The digital, on-demand inkjet printing allows the designer to fully express their imagination and creates a new generation of textile and apparel printing. The Mimaki reactive dye inks represent a design precisely and clearly with vibrant colors on cotton, hemp, silk, rayon, and some polyester-fiber fabrics with high color reproducibility. 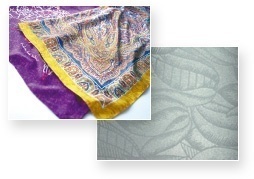 Mimaki supports textile designing and printing using comprehensive ink and printer technologies. Our products meet various textile and apparel market needs, such as sample/custom printing and volume production printing. The ECO PASSPORT by OEKO-TEX® is certified to Mimaki reactive dye ink "MLRc500". The "ECO PASSPORT" authenticates the safety and security for chemicals used during the production of textile dyes / pigments and auxiliaries and finishing agents. 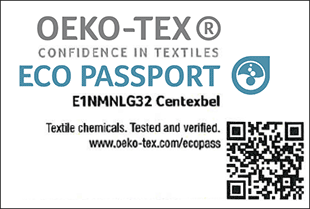 It was set up by the OEKO-TEX® international association headquartered in Switzerland, as an effort to prove the safety and security intended for the materials (used chemicals) following to the [STANDARD 100 by OEKO-TEX®] (*), being target for the safety and security of textile products. Applying of the safety certification in Japan, in June 2016 through Nissenken began and this certification of safety for the materials likely to contain the harmful substances will improve the safety level of the overall of textile products. * [STANDARD 100 by OEKO-TEX®] is a certification system for the safety and the security of textile products. It is a universally-accepted standard proving the absence of harmful substances, such as the aromatic amines, in textiles and its related products.